Health conscious people always see to it that they do physical exercises, watch what they eat, and make sure they give themselves proper rest. They even give their bodies detox to get rid of toxins and other chemical substances that are harmful to it. But, the focus of health should not only be limited to the physical aspects of our being. Our spiritual side gets lots of toxins too, which can be derived from the negative energies we get from our surroundings. The build up of these accumulated toxins weighs our spirits down. Slowly, we become the monsters that we hate to see in other people. If you feel your soul seems heavy even if there’s no reason to be, chances are, it’s full of toxins that need to be released as quickly as possible. The following are the warning signs you see in yourself that say your soul needs a detox. 1. You’re comfortable with the negativity that you see. Tolerating the negative vibes of other people, like scrolling through your news feed to find upsetting things or sharing your own harsh remarks, is a sign that says your soul is in a bad shape. Even if you’re not physically around with people, their negativity will drag you without realizing it. Correct this hobby by turning off your device and get in touch with people who brighten up your day. Their love will soon neutralizes your vibration, allowing you to be more positive. 2. You’re mindless of your speech. Having a negative vibes makes people see you as a sarcastic person. Being mindless of what you say, you start hurting other’s feelings. You become insensitive that putting them down means nothing to you. Every time you catch yourself seeing the flaws in other people, instead of pointing it out to them, seek ways to lift them up. Say kind words. The more you do it, the more you clear yourself of the negativity that clouds your mind. 3. Your friends avoid you. Nobody wants to be around with a person who exudes negative vibes. Once you notice your friends or acquaintances don’t want to be in your presence, take it as a sign that your soul needs detoxing. To raise your positivity level, read good books and seek the company of people who make you happy. From the compassionate person that you are, you’re now faced with someone whose emotions are so cold. You no longer feel the happiness or pain of other people. You’re even numb to your own pain. The way to kick starting your emotions back into gear is by getting in touch with all your senses. Look within and find the person that you are. 5. You’re happy with the misfortunes of other people. Normally, we feel sad when others are sad and feel happy when they’re happy. But if the opposite is happening to you, be aware that something is wrong with you. Craig Groeschel said that bitter people don’t know they’re bitter because they’re so convinced they’re right. The longer the root of bitterness grows, the harder it is to uproot it. Don’t wait for the root of your bitterness to lengthen. Remove it now while you still can. 6. You’re annoyed by happy people. Feeling miserable when others are happy signifies a diseased soul. You could not connect with the happiness of others due to the abundant supply of negativity within you. While you can’t control your outside world, you have the power to control what’s going on within. Get rid of these negative energies through meditation. 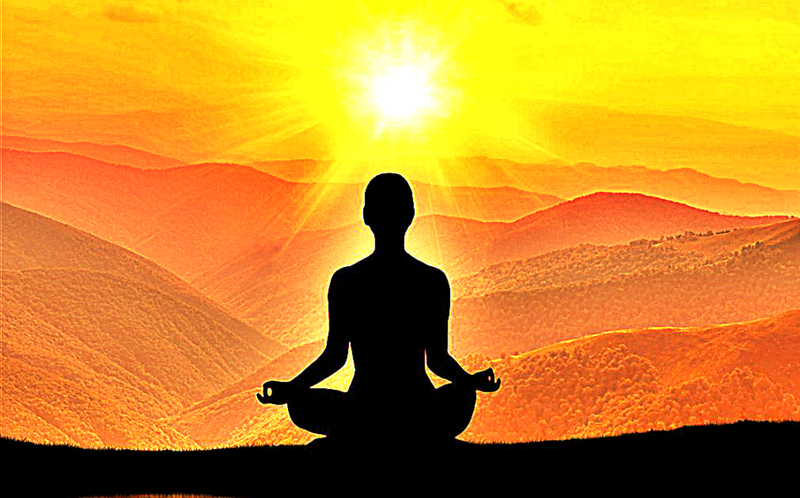 Meditation can help you in clearing your mind and connecting to the real being inside you. Also seek support from the people you love. 7. You can’t sleep well. When your body is overcome by negativity, it feels weak and fatigued. Your mind is a mess too. Having a confused mind leads to difficulty in falling sleep. Or, if you do, you may have nightmares or may wake up in the middle of the night. This is your soul’s way of telling you that a detox is very much needed. As we’ve mentioned earlier, meditation is a great tool in calming your mind and realigning your soul. Begin practicing meditation and see how it improves your sleep. 8. You feel being a victim is the role you play in life. Negativity has the ability to take away your personal power. As a result, you constantly feel that other people have done you an injustice or that you always receive what you don’t deserve. If you feel being a victim of some kind, take again another look at the situation.Being a victim might only be in your own thinking. Getting out of the victim role is achieved by being honest with yourself. Face every negative thought that comes your mind and do all you can to reverse it. 9. You don’t want to meditate or pray. Admit it or not, but you take comfort in feeling your negativity. You want to stay there and have no plans of getting out. This is always true when saying a prayer is hard for you to do. When you’re feeling negative, even the benefits of meditation don’t matter to you. You’re feeling this way because there’s something in you that you don’t want to confront. The bad news is, there’s no other way to detox your sick soul than heal it through meditation and prayer. Do it until your resistance melts in the process. 10. Your life is full of boredom. Nothing excites you anymore. The things that inspire you before no longer have sparks in them. In short, you’re bored to death and your soul needs serious detox. Ignite your soul’s light once more by reaching out to your support group. Seek the help of your family and friends. Do fun activities with them. Most of all, do the things that have the possibility to excite you once again.